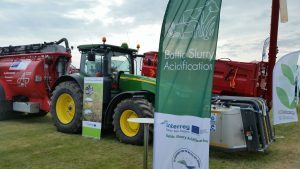 A total of seven on-farm pilot installations of slurry acidification equipment will be made in the Baltic Slurry Acidification -project. Four of these – in Germany, Sweden, Latvia and Lithuania – will be put to use on commercial farms while three will mainly serve scientific purposes on research farms in Poland, Lithuania and Estonia. All the installations for commercial use as well as the one in Estonia feature equipment for in-field acidification. Investments for in-storage acidification will be made on experimental farms in Lithuania and Poland. Based on the feasibility studies, the seven investments projects are worth nearly 1 million euro and expect to save 37 800 kg nitrogen through reduced ammonia evaporation. The full report on the feasibility studies will be published here during autumn. While the investments in most countries are now at various stages of planning and procurement, the investment in Sweden by the project partner Br Göransson AB is already in use. The contractors invested in SyreN slurry acidification system for in-field use on their client farms in Scania in Southern Sweden, in addition to their own farm in Kvidinge. The inauguration of the equipment was done in Sweden’s biggest agricultural fair for professional farmers, Borgeby Fältdagar, in 29th of June. The event gathered 20 000 visitors from all over Northern Europe. 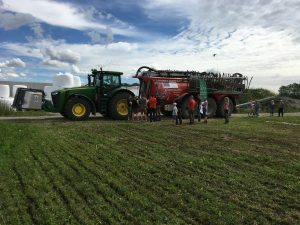 Before starting the real work in fields, the equipment was showcased to interested farmers around the region, on a road trip to another agricultural fair, Brunnby Lantbrukardagar and to two individual farms (pig and dairy) for demonstration. 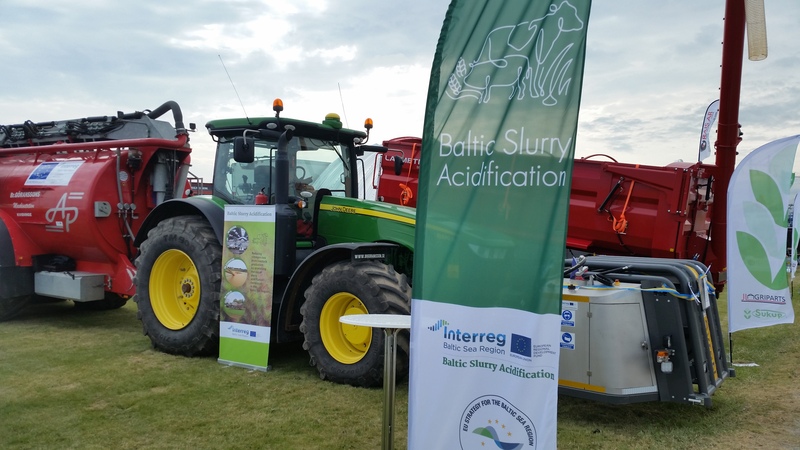 Baltic Slurry Acidification project will continue to follow the story and report on the results and customer experiences with acidified slurry and the services for in-field slurry acidification. 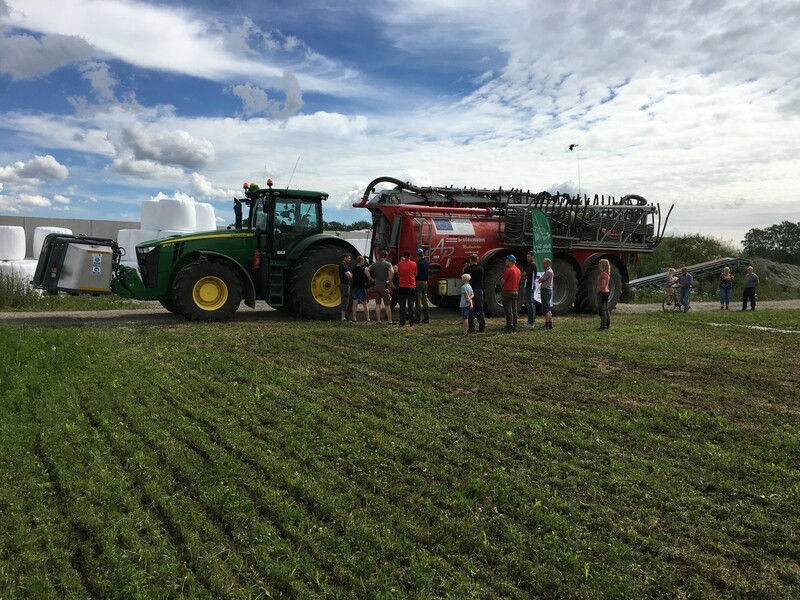 SyreN in-field slurry acidification system demonstrated to farmers in Sweden during summer 2017. Photo: Erik Sindhöj. SyreN equipment purchased in the project by agricultural contractor Br Göransson inaugurated at Borgeby agricultural fair in June 2017. Photo: Kaj Granholm.